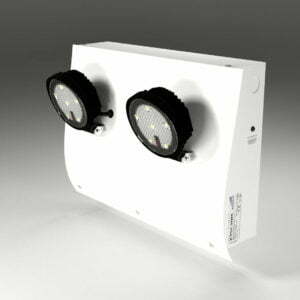 X-TSWS - Ringtail Emergency Lighting. 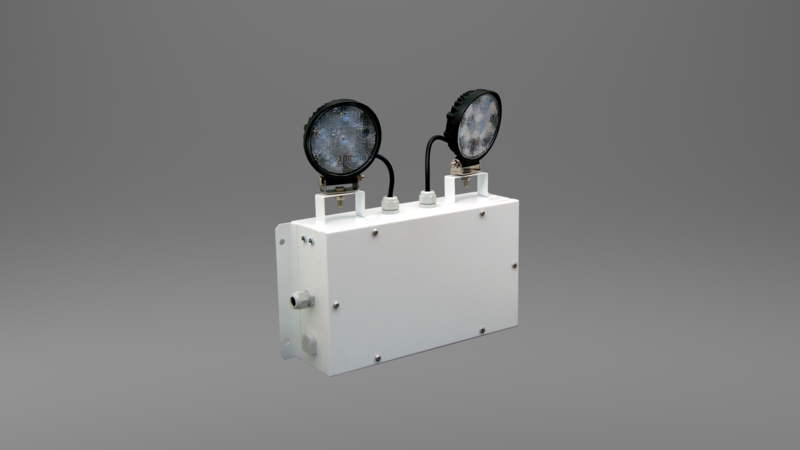 The X-TSWS range is an architectural LED Twinspot unit suitable for prestigious interior and exterior applications. 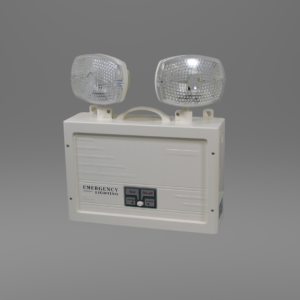 This Twinspot provides high efficiency high beam output for an ultra long duration. Comprising of a white robust finished steel enclosure sealed to IP65 with twin high output LED lamps. 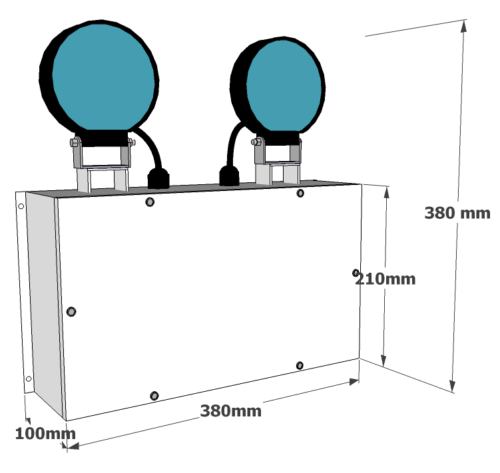 A 20mm cable gland is provided to maintain the ingress protection. 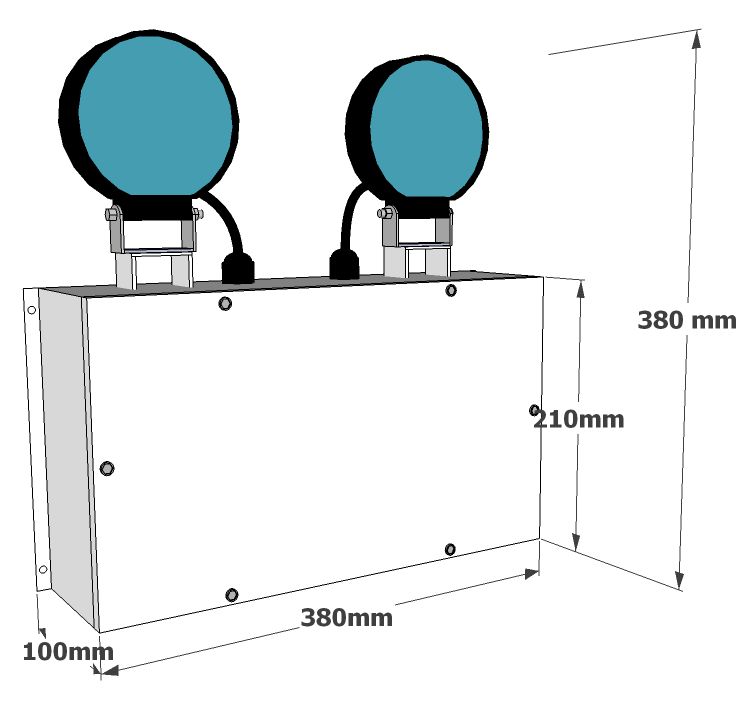 The X-TSWS twinspot comes with hex key screws and can be mounted in many orientations due to the battery clamps. 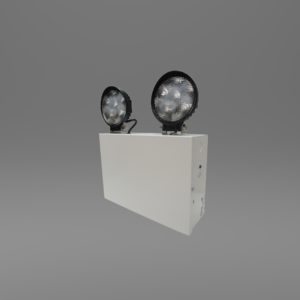 Also with the optional “delay on feature”, an adjustable timer function, upon the restoration of power after a mains failure the lamps will remain illuminated for a pre set period to allow for the restart of amenity / conventional discharge lighting. 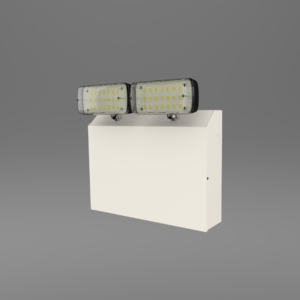 Available in white, black or a number of alternative finishes including British Standard and RAL colour.